My final round was back at home. I was going to skip it, but then I thought PICTURES! I was sore for days after this workout!! I decided to take a chance in upping my normal 5-lb dumbbells to 10-lbs for Wednesday's workout. For the most part, it was successful! There are some exercises that are still quite challenging at 5-lbs, but I could do all 3 sets for most exercises with 10-lbs. I stuck to 10-lbs on Thursday, too. My biceps felt AMAZING after 2 days at 10-lbs. Like I could just feel them getting stronger and plumper. 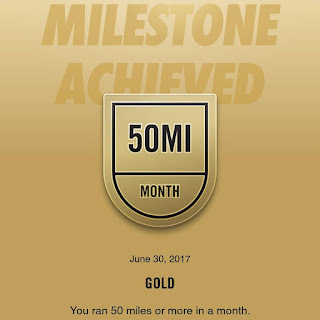 For the 2nd time this year, I broke 50 miles in the month of June. 2nd time over 60 miles, actually. I contribute this mostly to the Runner's World Run Streak and running every day in June. 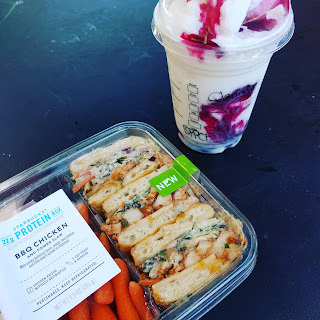 I love that Starbucks has a good variety of protein box options for lunch. They are perfect for when I don't bring lunch and have a free reward to redeem. :-) I enjoyed eating outside on their patio Friday afternoon. It was 98°F and fabulous outside that I just couldn't resist. CharityMiles is giving out virtual badges for running this weekend. 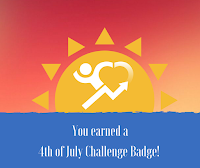 I earned the Sunset Badge on Saturday and the Fireworks Badge this morning. Now I need to do under 1 mile to earn the Frozen Treat Badge. Sounds like a perfect distance to do with Sallie tomorrow. 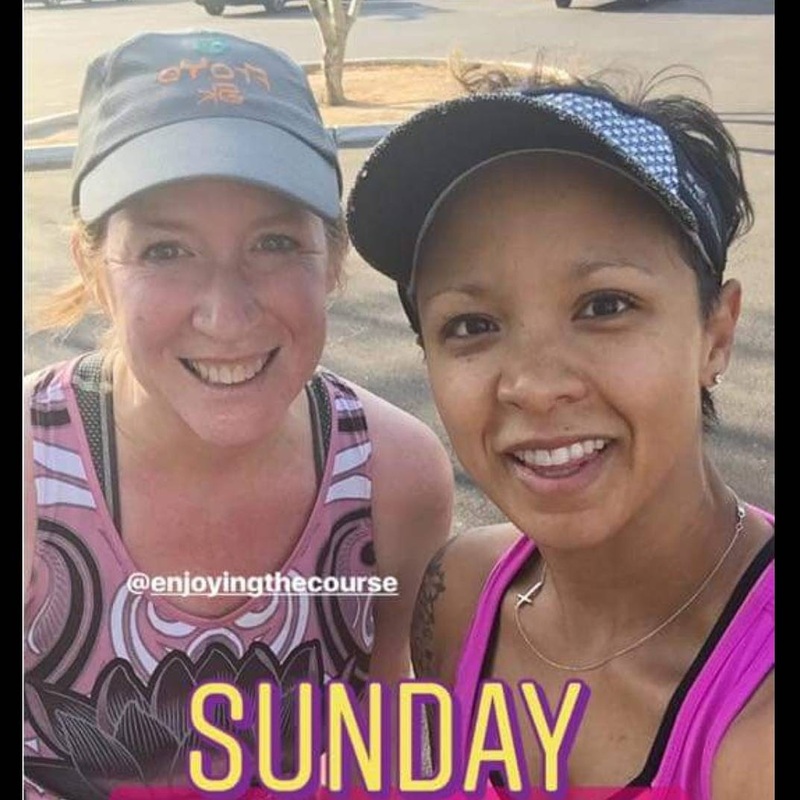 Last Sunday, Katrina messaged me about run groups in Las Vegas. I confessed I hadn't really found my tribe yet, so we decided to plan a run together. She's got a half coming up next weekend, so she had a 6-miler on the schedule for today. Sounded perfect to me! Her pace is normally a bit faster than mine, so I was a bit nervous. No need! We spent the hour just running and chatting. It was so fun and those 6 miles seemed to really breeze on by. 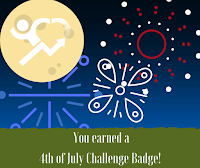 Do you get a kick out earning virtual badges? PS In case you missed having coffee with me yesterday, I gave a sneak peek into my upcoming birthday challenge. I hope you'll check it out and stay tuned for all the details later this week. I'm hoping for Wed or Thurs. I'm linking up today with Kim, Tricia & Holly for the Weekly Wrap. Have fantastic week, everyone! And a fun and safe 4th. 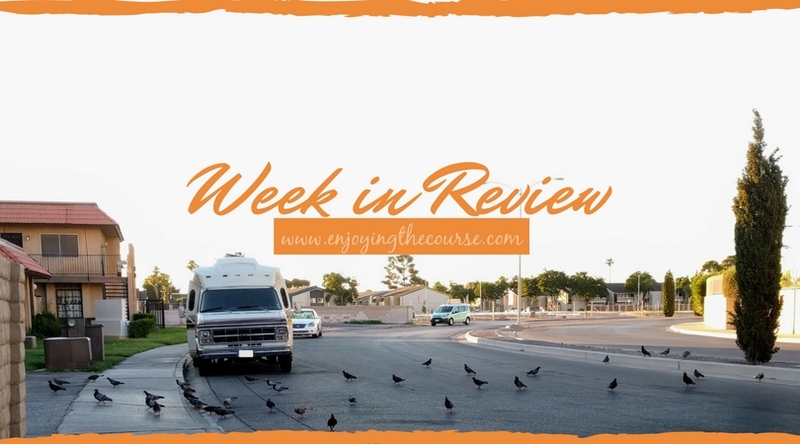 Another great week of workouts for you! I love your Tuesday workout. It's a great way to break up the run and get some cross training mixed in as well! Thanks! I couldn't believe how sore I was the next couple days, though! 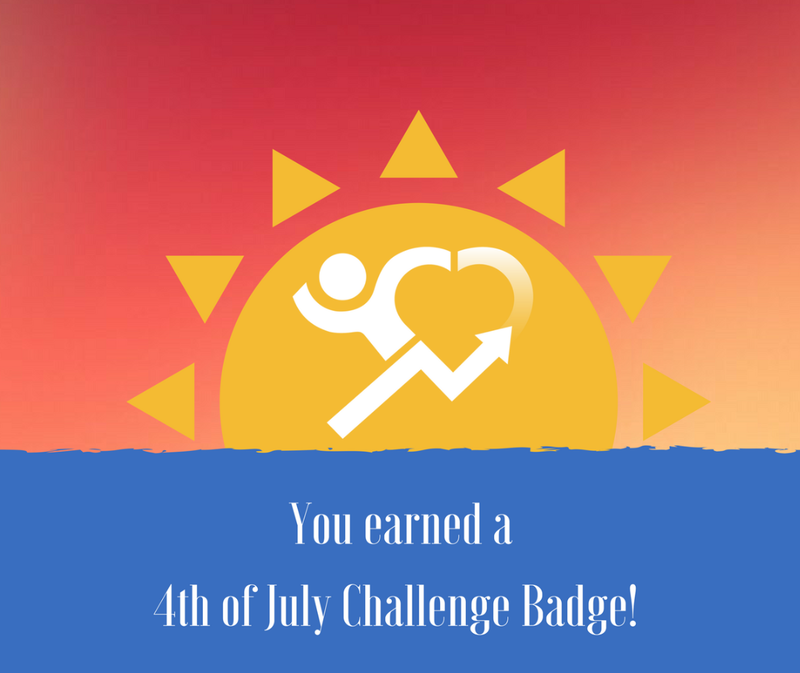 Awesome job on your June mileage!! I don't do running streaks very often (like, usually only once a year over the holidays LOL), but I'm always pleasantly surprised how just that one "itty bitty" daily mile can have such an impact over the course of several weeks. Right?! But all those little miles really add up. I mainly use Garmin to track my runs and any virtual badges I get are when I complete a new record (fastest mile, longest run, etc). I don't think I've tried the protein lunches at Starbucks but do see them when I get my coffee. I think they have like 5 or so varieties of protein boxes now. They don't look like much food, but they couple I've tried were just the perfect amount. 98 degrees felt amazing? I've never heard that before :) I did a strength workout Saturday afternoon and I was definitely feeling it yesterday. Today doesn't seem too bad, and I'll see how I feel after sitting at work all day. What can I say? I'm the crazy girl that loves the dry heat. It feels so fabulous after the cold a/c of the office. Hope the DOMS aren't too bad after sitting in the office. Maybe take a short walk break? 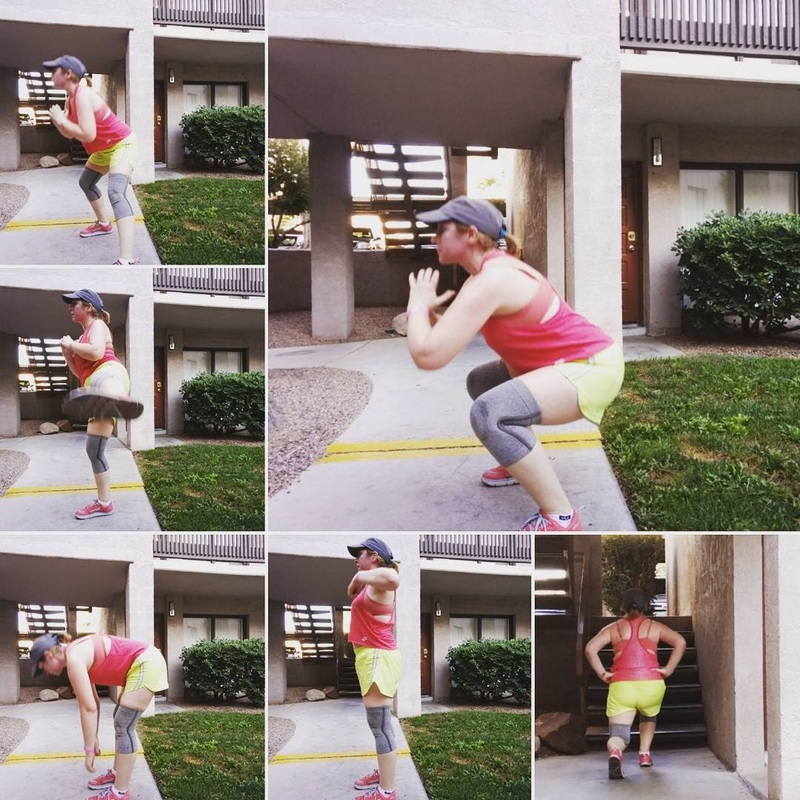 Your leg/squat workout looked great! I do love earning virtual badges - I earn then in my lose it app lol It is good motivation. It sounds like you had a great week! I wish I could do the runstreak but my body usualy revolts in the process! 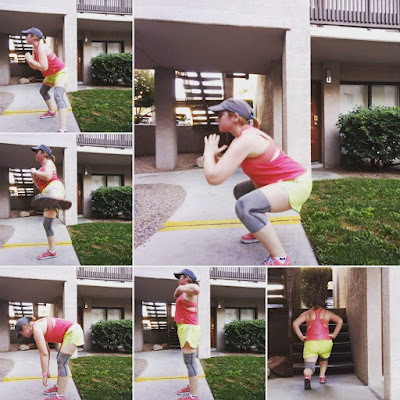 I love doing strength work and nice job increasing the weights - sometimes you don't realize how strong you are until you take things up a notch! I can't streak much longer than a RW Run Streak (usually between 35-42 days). I'm definitely ready for a break now. :) It was a nice surprise to be able to handle heavier weights!! Girl, you are killing that run streak!! 60 miles in the month of June, July or August will NEVER happen for me ...just too darn humid down here. Congratulations ...that's a huge accomplishment!! Have a great week Clarinda and happy 4th! Luckily, I love the heat and am blessed with low humidity. 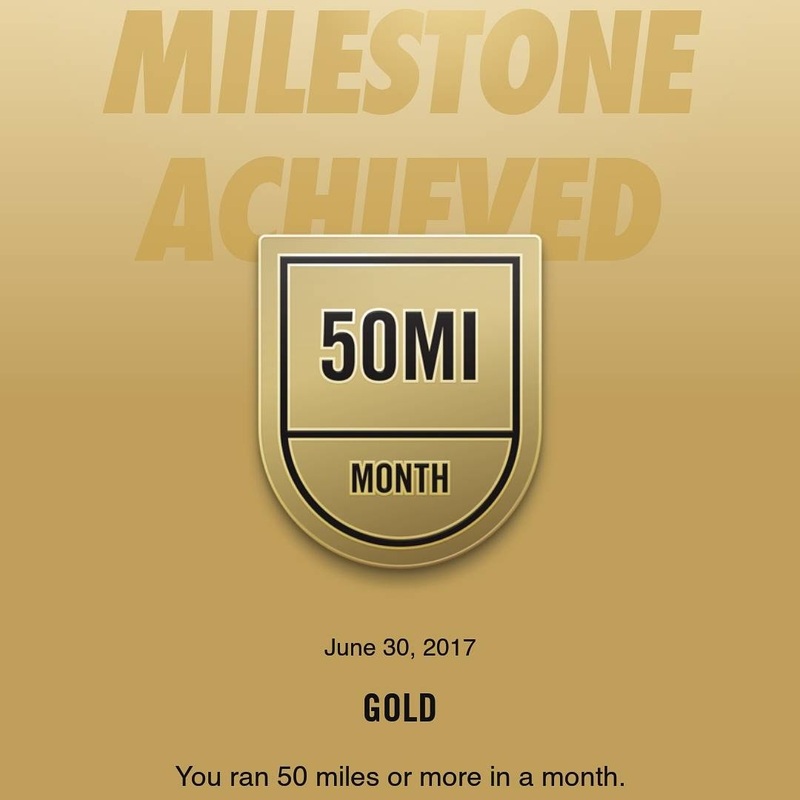 :) I'm taking a little running break (1 week) after the streak, but still would like to have a 50+ mile month in July. NIce job on that mileage!! I'm kind of over all the virtual stuff. 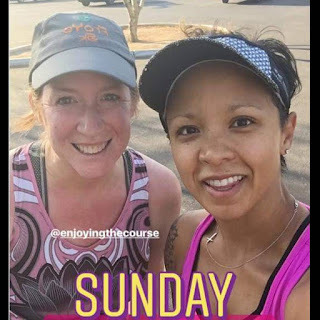 For a while I was a Gone For a run ambassador and I was doing all those virtual runs. But then I felt so strange, getting medals for "fake" races, when I would normally have run anyways. The badges are at least virtual too--less clutter. I reallyyy need to get back to working out consistently again! Great job on getting 60 miles this month!